LONG BEACH, CA (June 5, 2013)—Laserfiche today announced that its VAR program has been recognized in Everything Channel’s 2013 Partner Program Guide as one of North America’s best technology partner programs. The Laserfiche VAR program puts resellers on the fast track to success with comprehensive technical, sales and marketing training around Laserfiche enterprise content management (ECM). Partner training, education and support. 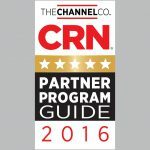 The 2013 Partner Program Guide is available on CRN.com. UBM Tech Channel, a UBM company, is the premier provider of IT channel-focused events, media, research, consulting, and sales and marketing services. With over 30 years of experience and engagement, UBM Tech Channel has the unmatched channel expertise to execute integrated solutions for technology executives managing partner recruitment, enablement and go-to-market strategy in order to accelerate technology sales.